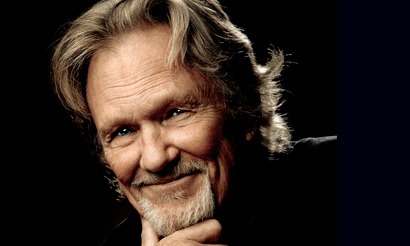 Kris Kristofferson is one of the rare songwriters who’ve expanded the vernacular, so to speak, having upped the ante on what a popular song can speak to or suggest. His finest musical moments over the years, from “Help Me Make It Through the Night” to “Sunday Morning Coming Down” to “Why Me,” have favored hard-won intimacy over whimsical romance, the most incriminating truths over the safest or most reassuring lies, all while exuding decidedly adult perspectives. It’s fitting, then, that on Feeling Mortal (KK Records) he considers themes of death and earthly impermanence with much the same unvarnished veracity. Kristofferson, 76, sings with resilience in the face of life’s ultimate inevitable, the age in his already stoic voice having only enriched his impact as a storyteller. From the title track which opens the album like a mission statement — “Wide awake and feeling mortal at this moment in the dream” — he inhabits each line as he seemingly makes sense of its greater and perhaps spiritual significance. In doing so, he sizes up a life in which he's reaped rewards and myriad versions of salvation (“Bread For the Body,” “The One You Chose”) despite his all-too-human weaknesses (“Stairway to the Bottom,” “Just Suppose”) and his conflicted struggles to resist them. 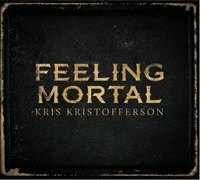 This is serious stuff to write and sing about, but Kristofferson does so with humility and a bit of humor, culminating in a uniquely inspiring work with songs that will outlive us all.